Only a few copies still available! 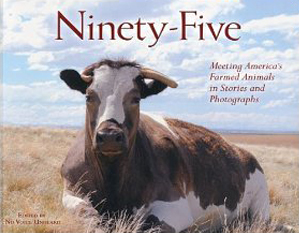 The first 50 people who donate $50 or more, will receive a FREE copy of the beautiful, full color book, Ninety-Five, Meeting America's Farmed Animals in Stories and Photographs, published by No Voice Unheard. 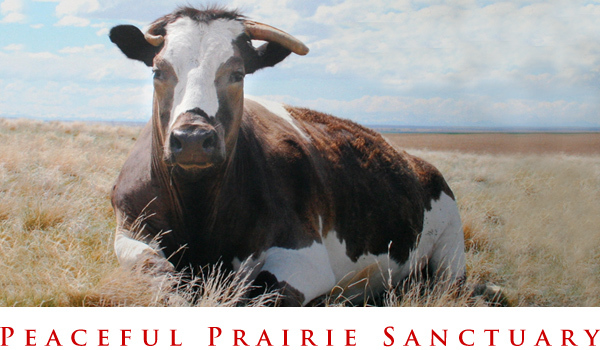 Featuring Peaceful Prairie's own iconic resident and sanctuary patriarch, Justice, who graces the cover. 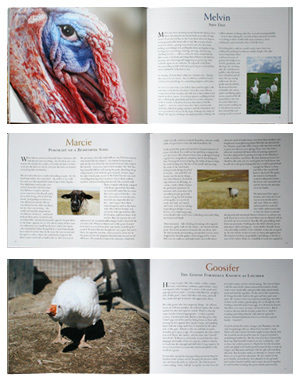 Inside you'll find personal stories, some written by our own Joanna Lucas, and gorgeous color pictures of rescued farmed animals. Don't miss out on this opportunity to support the residents of Peaceful Prairie Sanctuary, and be one of the first to receive a copy of Ninety-Five. Use the sidebar button to donate through PayPal, or click here to donate through JustGive.